ENTE started a new YouTube channel DuckWire, where he’s playing and presenting several video games. 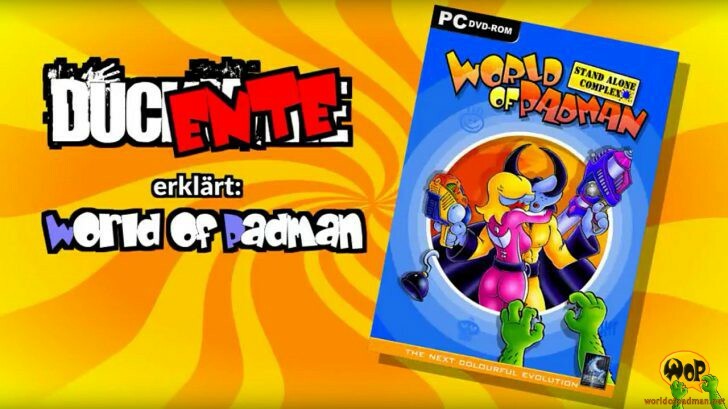 Recently he also started to create tutorials (in German only) regarding World of Padman. The reason is that most people, who are presenting WoP in Let’s Plays or other presentations, scratch the surface of the game only, without showing its unique game play and the concepts behind it in detail. There are four videos available online at the moment. Menu – Presents the main menu and its options. Basic features – Presents the ingame menu, HUD and the basic game principle. Spray Your Color – Presents the respective game type. Capture The Lolly – Presents the respective game type. More videos like this are planned to introduce and present you more from the World of Padman. Maybe one day ENTE will be able to provide subtitles in English language for all those non German speakers out there. We hope you like it and it helps to score while playing online or offline against bots.